Two short plays by the Italian playwright Dario Fo in one evening performance. 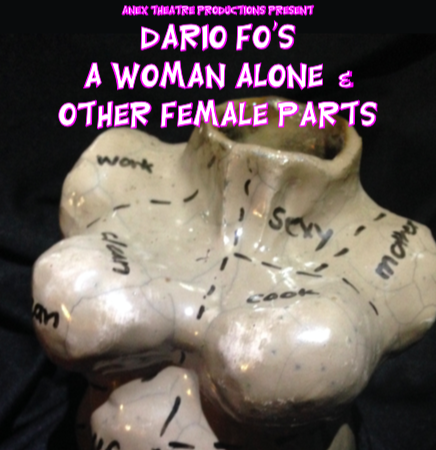 A Woman Alone deals with a woman entrapped by domesticity and an abusive husband. The play moves through farce to tragedy to a shocking climax. Waking up sees a working mother desperately and hilariously trying to deal with the demands of work and motherhood.